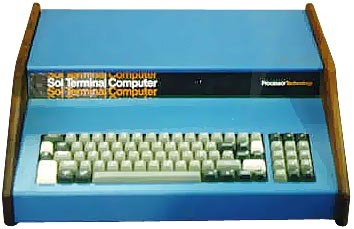 I built my Sol-20 from a kit in 1975, it took me weeks to assemble it, it was the first computer I owned. I couldn't afford the fancy (and expensive) Helios 8" disk drives or 3rd party drives like the 5" Northstar system. But I could afford a few gadgets, like a 300baud acoustic coupler and a GraphicAdd card. I did a few nice art projects on my Sol, I'm dying to get the machine back up and running, and see if I can still read my 20+ year old data tapes.